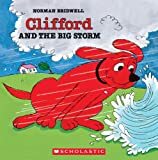 Clifford Unit For Teachers and Parents! Kohl's Cares For Kids is now (Feb. 2004) selling the above items for $5.00 each. I am loving this program!!! If you do not have a Kohl's you can order online (if the sale is still on) by clicking here. Of course I had to get everything. The plush Clifford is my favorite. He is very soft and so cute. I got one for my son and nephew too. I have decided to update this page with a few ideas in honor of Kohl's selling these cute items!!! Thanks Kohl's!!! 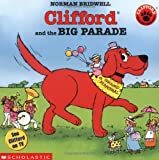 Here you will find lesson ideas, literature activities, center ideas, free printables, crafts, and so much more to make teaching with Clifford an academic hit. A big thank you to all the teachers that have ideas on this page. Many of the ideas were posted on the Teaching is a Work of Heart Mailring & Chatboard. Also, may were posted on the TNet rings and boards. I just organized all the ideas and put them in one place for teachers to use! Four Activities to Use With Fruit Snacks!!! Brachs makes Clifford the Big Red Dog Fruit Snacks. I purchased them at Target. They come in individual packets (10 per box). They are shaped like Clifford (red), Cliffords Doghouse (green), T-bone (orange), Cleo (purple), Emily (pink), and a bone (yellow). The candy has 70 calories per packet, 0 grams of fat, and 17 grams of sugar. In this dile are some activities that are fun to do with the candy. If you cant serve candy in your class you could buy the box of fruit snacks and photo copy the images. Cut them out and place them in baggies (one baggie of several images for each student). If you can serve candy, then this would be a great snack for your Clifford unit. The added bonus is that you get to throw some learning in with snack time!!! You will find a sorting sheet (k-1), a graphing sheet (1-3), a data sheet and data questions sheet (1-3), and a roll and eat game (1-3). This is a free sheet from our CD # 4 - Click to Learn More About the CD!!! Students illustrate this book to match the text. They cut and staple the book to form a lift the flap book. Clifford Books and Ideas to Match Them! Click to Learn More! - Great for your listening center! LISTENING CENTER - Have your students listen to this at your listening center. When finished they should make a list of things they can do to help out your community and neighborhood. READING COMPREHENSION - Provide patterns that symbolize Clifford's good deeds: leaf, paint brush, kitten, flat tire, newspaper, man on the ground, house on fire, a medal. Have your students sequence these symbols to explain the events on the story. This would make a great pocket chart center! MATH/TELLING TIME - Show a blank clock face and relate Clifford's good deeds to actual times in the day. Allow 30 min. for each deed and work as a group to figure out Clifford's schedule. CREATIVE WRITING - Make a class book of "Best Good Deeds." As a class, brainstorm good deeds that they have seen others do or good deeds they have done. Make a list of these deeds. Now that the students have some ideas, they can write about their best good deeds or the best good deed someone has done for them. When they finish the writing part, have them illustrate it. Collect and bind to make a class book! Pre reading: Construct a Venn Diagram (on red paper or in red marker?). Use this to compare/contrast things large pets and small pets can do well, and those that both can do well. If you haven't told the students what the new unit is about, invite them to guess a famous pet they will be learning more about. Ask students to add any details about large and small pets they may have left out before reading. After reading, have the students answer the questions below. If the answer is yes, students will answer "Woof, Woof!" Fold a large paper into three sections for each student. 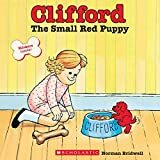 After reading both stories ask students to (1) draw a picture of Clifford as a small puppy, (2) a medium puppy, and (3) as a large puppy. I printed an open font which read; Clifford, the Small Red Puppy by Norm Bridwell. I then cut and pasted the heading to fit three on each paper. I ran enough copies for all my students. They colored the writing red and glued it to the top of their sequential drawings. have students brainstorm a list of pet care needs for Clifford as a grown dog. Help students to list good manners. You might also want to turn these into a class book by letting each child give you an example of good manners, you write or type then print it out and let the child illustrate. Bind together and place in the reading area. After reading Clifford's Birthday Party by Norman Bridwell, have students complete this story frame. 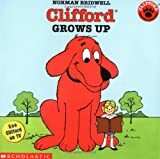 I would get Clifford a __________ for his birthday. Illustrate the sentence. You could have children bring in a gift for Clifford wrapped up and have a real party for Clifford! 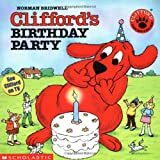 Some great Clifford Products to make your theme fun - click on a product to learn more at Amazon! Play this video for your class as a treat! while you work on this theme! 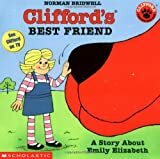 students will love reading a Clifford book to Clifford! I think more bones will fit in _____________ doghouse than ______________ doghouse. I estimate that ______________ bones will fit in Cliffords doghouse. I estimate that ______________ bones will fit in Snails dog house. _________________ bones fit into Cliffords doghouse. __________________ bones fit into Snails doghouse. How many more bones fit inside Cliffords doghouse than in Snails doghouse? How close were your estimates to the facts? Would you like the manipulatives and activity sheets to match this activity? They are found on CDROM #4 - Click Here to Learn More!!! Would you like this activity sheet? This is found on CDROM # 4 - Click Here to Learn More!!! CDROM # 4 Includes a cover for your class book and a writing sheet for your student to share their feelings and ideas about good deeds. - Click to learn more. READING COMPREHENSION - Provide patterns that symbolize Clifford's good deeds: leaf, paintbrush, kitten, flat tire, newspaper, man on the ground, house on fire, a medal. Have your students sequence these symbols to explain the events in the story. This would make a great pocket chart center! You could also make enough for each child and have them sequence the story at their desks. After they finish sequencing, encourage the students to retell the story to a neighbor. Would you like these patterns? They are found on CDROM # 4 - Click to learn more! HELP CLIFFORD FILL HIS DOG HOUSE! You can place the center in a pocket chart or in a Ziploc baggie. You can also give each student their own set and work with these as a group or allow the students to take them home for practice. The student must match a dog house to a picture. Each doghouse has a letter on it. The student must find a picture that begins with that letter sound. The student lays the picture on the dog house. Roll For Bones Dice Game - student rolls dice and colors in the rolled number of bones on their game board. First player to color in all their bones wins the game. Would you like this gameboard. It is found on CDROM # 4 - Click to learn more! Print the sentences below on sentence strips. Place them in a pocket chart. Use them to retell the story. Mix them up. Have your students put them in the order they happened in the story. --Clifford, Cleo, and T-Bone go to the beach. --T-Bone and Clifford play with the beach ball while Cleo builds a sandcastle. --A big wave hits the shore. --Cleos sandcastle is ruined by the wave. --The beach ball was gone! --The friends start to look for the ball. --Cleo looked around the rocks. --Clifford looked in the water. --Clifford sees the ball floating in the water. --Clifford swims out to the ball with Cleo and T-bone on his back. --They see the dolphins playing with the ball. --The dolphins and the dogs passed the ball to each other. --The dogs let the dolphins keep the ball. Would you like these on sentence strip ready to print? Would you like a center sheet to match this? You can get these on CDROM # 4. - Click to learn more! We made Clifford dog ears with sentence strip and two red ears on the sides and the kids wrote "I see big Clifford." (remember this was kindergarten) Those looked really cute. We did dog bone printing...dog bones dipped in tempera. Make sure you get the bones that are flat on one side. We also made paw prints by using palm of hand and fingertips for toes. We played Clifford, Clifford where's your bone? We made Clifford by folding a triangle shaped piece of red paper. If you fold each side over from the ends it looks like ears and the middle is the face. I had another picture with Clifford on it and at the bottom numbers. I had drawn sets of bones. The kids cut out the number words at the bottom to match the bone sets and glued them in a space. We didn't do this but you can also make dog houses out of popsicle sticks. We made yarn dogs. I had an outline of Clifford and the children cut yarn (some cut, some just made the yarn go around and around) to fill Clifford in. 1. On my door, I have the caption 'A Dog-gone Great Class'. I put a schoolhouse w/ dogs inside (from Carson Dellosa) on my door and put either Clifford or another dog on the door by the schoolhouse. I put the children's names on little dog bones and paw prints. 2. On my calender, I have a Clifford decoration holding a flag. Beside that I have poems from Melissa's website (I LOVE her Clifford ideas!) that we recite in the morning. 3. I have Clifford books displayed on my chalkboard ledge for the kids to browse through. 4. I have a few stuffed Cliffords. The helper of the day gets to sit all day w/ Clifford at his/her desk. 5. I have a b.b. that says "Presenting Clifford". I have my kids to make a red construction paper Clifford head using an oval, ear cut-outs, & facial features. 6. For my home-school connection, I'm starting something new this year. It's called Clifford Packs. I use a 10 by 13 manilla envelop and decorate the outside of it w/ pages from Clifford coloring books (ex. Clifford w/ a birthday cake for the Happy Birthday Clifford Pack). Inside the envelop I include a Clifford story, poetry/songs related to the pack (ex. if the pack is about Weather, then there are poems about rain, etc. in that pack), little file folder games related to the pack (these aren't necessarily Clifford games, just something related to the pack), and lastly a student & a parent journal.The other idea isn't my own-it's borrowed. The second home-school connection is using a stuffed Clifford to travel to each child's home. Clifford is accompanied w/ a journal for families to record what adventures Clifford has while w/them. 7. This year, I'm very lucky to be participating in a Travel Buddy program w/ great teachers from this chatboard. Our class is sending guess who....Clifford!!!! I plan to have a lot of fun mapping Clifford's adventures to other parts of the United States. Should be a super learning experience. 8. I have a pocket chart that manages my literacy centers. I have colored Cliffords that designate each center area (ex. red Clifford is reading, blue Clifford is math, yellow Clifford is Phonics, etc.) Then in my classroom I have the same colored Cliffords in different areas to designate work areas for that center. Ex. The red Clifford might be by my desk to designate "the reading area" or the blue Clifford might be by the door to designate the math area. That way students have a particular work area to go to during literacy centers. 9. One thing I'd like to figure out is a way to incorpate Clifford into my behavior management. I use 'turn a card'. I was thinking about putting the children's names on colored bones, but don't know what to do after that...move the bones to a dish or something????? 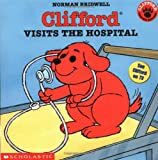 Some of my favorite Clifford Books - click on a book to learn more! Match letters (on dog dishes) with clipart beginning sound pictures (on dog houses). I have a pocket chart that manages my literacy centers. I have colored Cliffords that designate each center area (ex. red Clifford is reading, blue Clifford is math, yellow Clifford is Phonics, etc.) Then in my classroom I have the same colored Cliffords in different areas to designate work areas for that center. Ex. The red Clifford might be by my desk to designate "the reading area" or the blue Clifford might be by the door to designate the math area. That way students have a particular work area to go to during literacy centers. 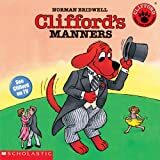 Links To Clifford Printables or Activity Sheets! Many Activity Pages To Print! My Favorite Clifford Links - Sites filled with great classroom ideas! This would be great for computer center time! Hear a Clifford Story Here! Interactive Story Books With Phonics Fun! Check Out this Clifford 4 Blocks Lesson! All Content contained of the pages within this website is copyright Teaching is a Work of Heart 1999-2002, all rights reserved. We give you the permission to download, print, modify, and generally use the material contained herein, we do ask that you respect our rights and not publish any material on this site without prior written consent.